Free agent catcher Stephen Vogt is returning to the Bay Area, agreeing to a minor league contract with the San Francisco Giants. 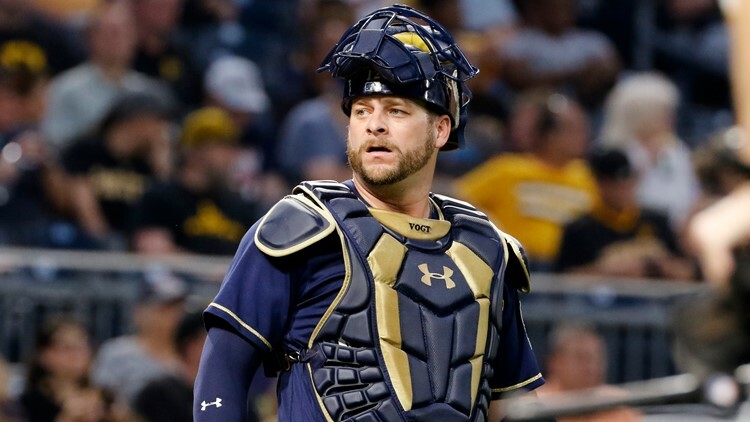 SAN FRANCISCO — (AP) - Free agent catcher Stephen Vogt is returning to the Bay Area, agreeing to a minor league contract with the San Francisco Giants. Vogt shared the news in a text message Monday, when he was en route to the club's spring training complex in Scottsdale, Arizona. Pitchers and catchers report Wednesday. New Giants president of baseball operations Farhan Zaidi said Friday he was still seeking depth at the catcher position behind Buster Posey, who is recovering from season-ending right hip surgery. The 34-year-old had surgery on his troublesome right shoulder last May and didn't play for Milwaukee last year. He says he feels great now and is throwing, but throwing from the catcher's crouch remains a step he must complete.